In the 20th century most of our family* left Russia and was dispersed across the globe. No one member of the family settled in any one country for more than a few generations. Tragically, the 20th century was a cruel vessel for the Kotchoubey family and many of its members died, childless and in obscurity. Many of the family memories and archives perished with them. The fall of the Berlin Wall in 1989, the opening of State archives and the development of the internet have allowed a broader community of family members, relatives, historians and most importantly the people in Ukraine and Russia who continue to live within the silenced virtual and standing memories of the family to root themselves in a shared history. The purpose of this website is to share the histories, the accomplishments and the stories of the Kotchoubey descendants of Vassili Leontievich who was executed in 1708. According to Modzalevskiy’s Malorossiski Gerbovnik (published 1910), a definitive genealogical study of the noble families of today’s Ukraine, there were four other branches of the family who were considered noble. No documentation exists on their genealogy before or after the revolution. This website is dedicated to preserving the memory of our family, the places where we lived, and the social, cultural & scientific contributions that we made. 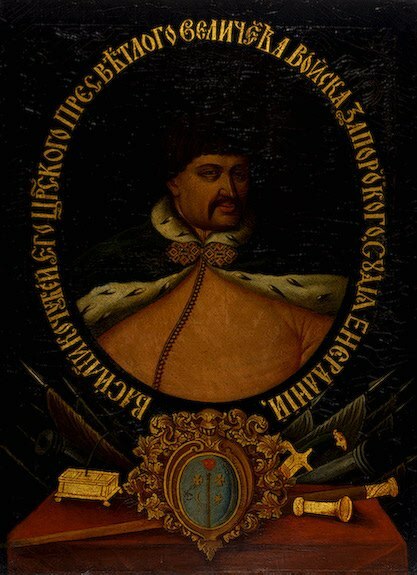 Andrei Kotchoubey, Vassili Leontievitch’s grandfather, entered Malorussia as Kuchuk Bey at the first half of the XVII century. He arrived from Crimea in today’s left bank of the Dnieper region with his Tatar warriors. He converted from Islam to the Orthodox Christian faith and took the name Andrei and since then the family has supported the church through good works, the building of churches, the veneration of icons and a deep rooted faith. The site intends to share part of our family’s journey in the Orthodox faith. Let us throw open the windows of the darkened rooms of history and bring light to our past. Today, this history is shared between people in Ukraine and Russia and many countries around the world. *Georgi Vassilievitch and his sister Olga Vassilievna were the only known family members to have remained and lived in the USSR.